Dimitri Roger (born July 13, 1992), known professionally as Rich the Kid, is an American rapper, songwriter and record producer. Currently signed to Interscope Records, Rich The Kid’s debut album The World Is Yours was released on March 30, 2018. 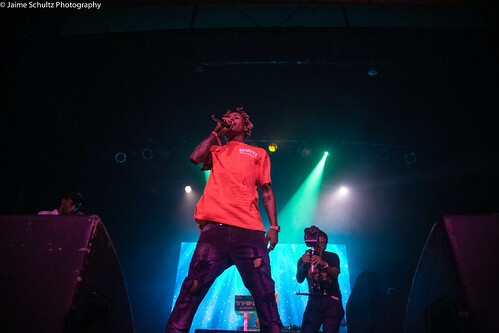 In 2018, Rich The Kid surprised us all with his ‘The World Is Yours‘, but far from staying all there, the New Yorker has repeated experience this year with a second installment. It was at the end of March when he presented his latest studio album, once again, full of stars. Now he wants to continue shooting it with the release of videoclips like this ‘For Keeps’. For Keeps’ is the cut that closes the project, and in it participates a YoungBoy Never Broke Again that is coming to demonstrate in the good state of form in which it is. In the video clip of the cut produced by CashMoneyAP we see the two of them in a kind of Gothic church. Watch the video ( Rich The Kid – For Keeps ) and tell us what you think!